Volume II of the book continues with the Catalyst family of switches, focusing on the powerful new Catalyst 3550 intelligent Ethernet switch. The studies include Layer 3 switching and the new 802.1w and 802.1s Spanning Tree Protocols. Reference book for the CCNA exams #640-801, #640-607. You will build your own internetworking lab and learn essential networking skills. 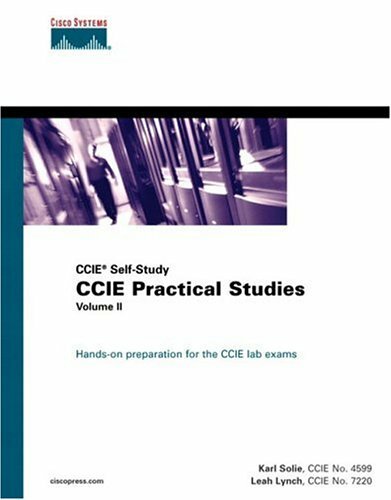 Examples cover a range of CCNA topics: router configuration, protocols, ISDN, bridging and switching, IPX, etc. The TCP/IP Guide is a comprehensible guide to the TCP/IP that will appeal to newcomers and the seasoned professional. It details the core protocols that make TCP/IP internetworks function, and the most important classical TCP/IP applications. This complete field guide is the perfect hands-on reference for deploying, configuring, and operating Juniper's SRX Series networking device. Authors provide field-tested best practices for getting the most out of SRX deployments.